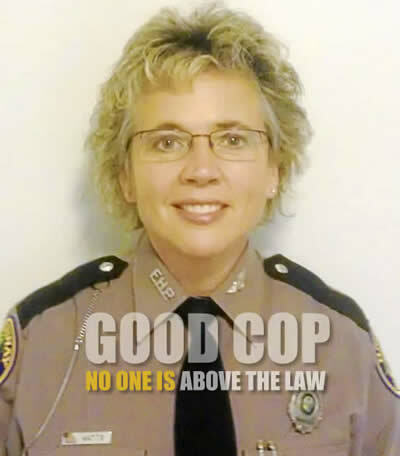 Florida Highway Patrol trooper Donna Jane Watts was just doing her job when she pulled over a Miami police officer for topping speeds of 120 mph, but the fallout has been anything but routine: She’s now suing her colleagues for harassment. 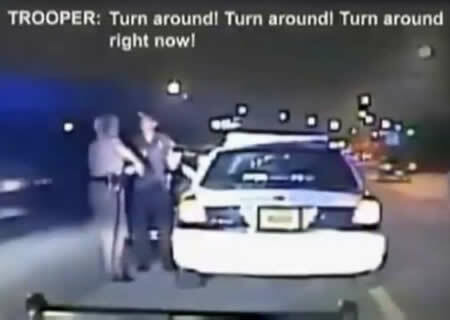 Watts claims the harassment by law enforcement began after she pulled over Miami cop FaUsto Lopez in October 2011 for speeding in his patrol car. Traveling well over 100 mph, Lopez was reportedly weaving in and out of lanes so fast it took Watts seven minutes to pull him over even with her lights flashing and sirens blaring. 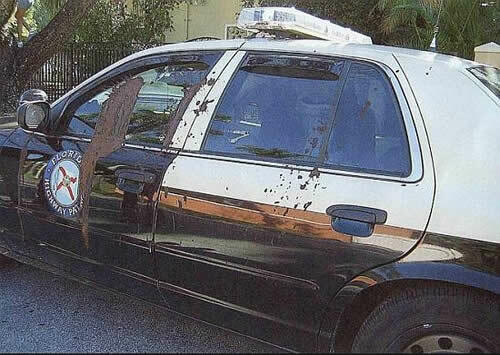 When Lopez finally pulled aside, Watts made her way to the police vehicle with her gun drawn, handcuffed the Miami officer, and took his weapon. Lopez was eventually fired for his behavior, but that was just the beginning of the story for Watts. She began receiving phone calls from unknown phone numbers – some of which were prank calls, while others contained threats. The lawsuit alleges that orders for pizza were made in her name without her knowledge, and that multiple police vehicles would linger in front of her house or on her street.